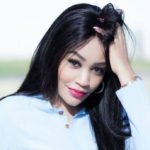 Ugandan Boss Lady, Zari Hassan, the mother of Diamond´s two children, has no regrets for dumping Diamond and has a new ride. Her ride or die Bae treats her like the Queen she is, Respect and Love, are ruling her Queen-dom. Zari and ex, Diamond Platinumz called it quits more than a year ago and although the kids are her responsibility, she´s got warm company. Below, explains it all: Scroll left to get conversant with the father figure in Zari´s Empire: Zari´s blood brother spends some quality time with Prince Nillan and are known to be best of friends: And to the above, Zari comments: Toooooo muchiiiiii The brother and Nillan have their moments and seem to ever enjoy each other´s company, time and again. Zari´s heart currently seems warmer than ever before and it is Diamond´s loss for having stepped on a red rose: We are already well versed with the romantic moves Zari´s King Bae has been dropping without sounding an alarm. It would therefore only be fair to wish the two love birds nothing but a ´Happily Ever After´. Just saying. And work well done to Zari´s blood brother. The post Photos: Here is the fine guy gracing Diamond Platinumz´ bloodline appeared first on Ghafla! Kenya.